nero profumo: JAR Jardenia: Funghi Porcini. Anyone who has experienced JAR (both the fragrances and the store), knows what I'm talking about. JAR is not a perfume shop, it's a secret club. Their compositions are far beyond being just fragrances, they're more like the car crashes in Ballard's Crash. Perversely fascinating, kinda morbid and definitely out of this world. Jardenia is one of those fragrances that, unless you want to be called names, you can't say you don't like it. Well, I actually can't say that I completely like it. The opening accord is absolutely stunning in its simple complexity. A huge indolic gardenia note of immense beauty strikes as a pyrotechnical effect. It initially kisses you then shakes your head to finally leave you speechless for its unquestionable charme. Almost an hologram in it's vibrant/vivid reproduction of the real flower. The opening phase endures for almost one hour to then introduce a mushroom note that smells a whole lot like "funghi porcini". Yes, fresh cut funghi porcini. The fragrance still works and morphes into a challenging phase that's typical of many other deliveries from the house. At the three hours mark, the gardenia slightly recedes while the mushroom note slowly takes over to the point of becoming absolutely dominating for the rest of the fragrance' evolution. After ten plus hours it gets definitely exasperating and, at least to me, nausea inducing. Scrub time. 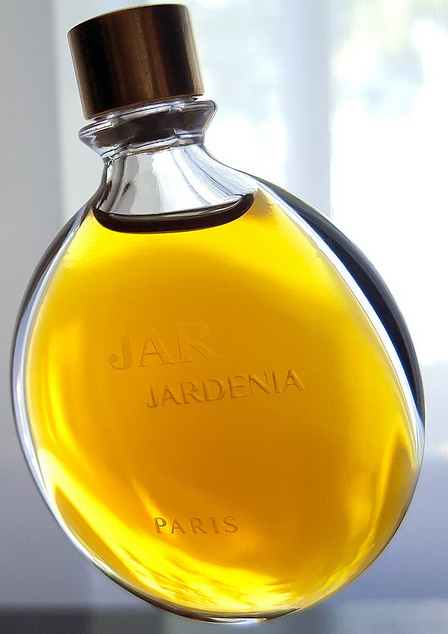 Ok, Jardenia definitely makes a strong impression and it's one of those fragrances that you encounter every once in 100 years but I would wear it? No. This stuff is not for me but, if you like unique fragrances, this is something to surely check out. In the end, I loved the opening and detested the drydown. Have you tried CB's Musk? To my nose it's this same mushroom note only, well, more blatant. 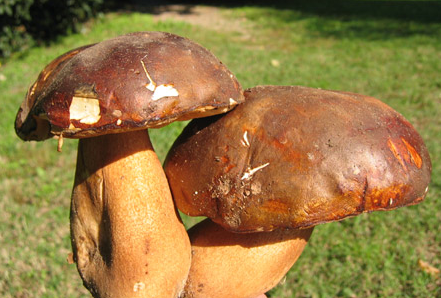 I do prefer Jardenia to it, but it makes me wonder what that mushroom note is, per se. On a different level, I started noticing a signature in JAR's fragrances. I''ve not yet come to a conclusion but there's definitely something they all share...what are your thoughts? Gardenia absolute isn't much used, and the kind that does exist isn't a very good approximation of the flower. It is very mild, kind of a milky ( not cheesy or fungal like living gardenias ) variant on tuberose absolute, and somewhat less sweet, too. I had the opportunity to sample some a while ago. Surprisingly less authentically gardenia than the better reconstitutions done by perfumers ( in my book, the Lauder, the Tom Ford, and the JAR ). I could be wrong, but I'm assuming there must be some gardenia-funk aromachemical out and available, I just don't quite know what it is. The JARs that I've tried ( only three thus far ) have all been rather dark and dense yet not heavy per se. It's hard to put my finger on what links them.